SKT is the team that laid down the foundation of the LCK in the competitive landscape. 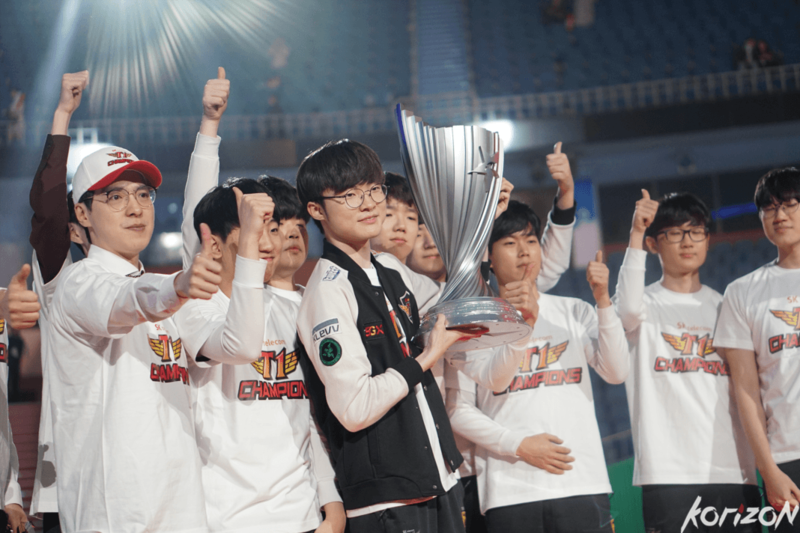 For year, SKT was rated as the best team in the world as they won the World Championship three times. Yet, the demise of the side started in November 2017, as they lost 3-0 to Samsung Galaxy in the grand finale of Worlds. This was no ordinary defeat since it ended the era of the side. The team by their high standards fell to the depths, mainly due to the roster problems. In the top lane, Heo “Huni” Seung-hoon was getting completely outplayed by almost every other player. His replacement, “Thala” Kwon-hyuk Park was also a complete disaster. Meanwhile, after the departure of Han “Peanut” Wang-ho, who left for KING- ZONE DragonX, SKT recruited Kang “Blank” Sung-gu who failed to adjust himself to the strategies of the team. Things were going from bad to worst for SKT since they had to put their star, Lee “Faker” Sang-hyeok on the bench for a while, to test Choi “pireana” Jun-sik. Yet things didn’t improve. This lineup was an utter disaster, since at the end of 2018, for the first time in history, SKT failed to qualify for Worlds. This poor achievement meant that we would see new faces in the team for 2019, and indeed we did. Initially, the analysts and the fans believed that SKT will form its new roster around Huni and Faker. But in just a few days of the transfer period, Huni joined the ranks of 100 Thieves. So the organization recruits some exciting names to revive the team. They signed the former jungler of King Zone, Kim “Khan” Dong-ha who was tipped by many for being the best in his role in 2017 and 2018. After Khan, the prodigy of China, Kim “Clida” Tae-jin joined the jungle of SKT, back in his days with Jing Dong, we almost made it to the 2018 Worlds. Meanwhile, their Bot lane even before the start of the season was rated as the best duo of the LCK. Park “Teddy” Jin-seong was a crucial element in the survival of JinAir in 2018. He broke the record for the number of CSs (1465 in 95 minutes). He was guarded by Cho “Mata” Se-hyeong – the best support of all time. LCK champs. 감사합니다~ thank you fans! This team took its time to find its true potential since they spent most of the 2019 season in the mid-table. After the halfway mark, the side rose in the ranks and now after a hard-fought season, SKT T1 has proven its mettle against Griffin. The Korean crown has been handed over to SKT T1 and just last night, they took down Griffin to take the charge of LCK Spring Split 2019.